My Waterworld/Beyond Earth fanfic will be going up shortly. So, we've had a few months to let the frisson of exploring deep space wash over us. Last year, Civilization: Beyond Earth took the series in a whole new direction by asking players not to rewrite history, but to explore what the future holds for the citizens of a planet whose resources are quickly dwindling. At least, that's what a textbook would tell you. Really, it's an excuse to plop down on an unexplored planet and 4X some alien scum. Let's be honest, though. The act of merely staking your claim on a vicious, acid-drenched landscape is starting to get stale. Your galactic colonists long to feel the sting of space-sea salt on their atmospheric containment suits. Hence, the folks at Firaxis have announced the game's first expansion, Rising Tide, which aims to expand your colony's reach beyond the lava beaches of T'zalke 5 and onto the fluorescent oceans of Planet Dave. 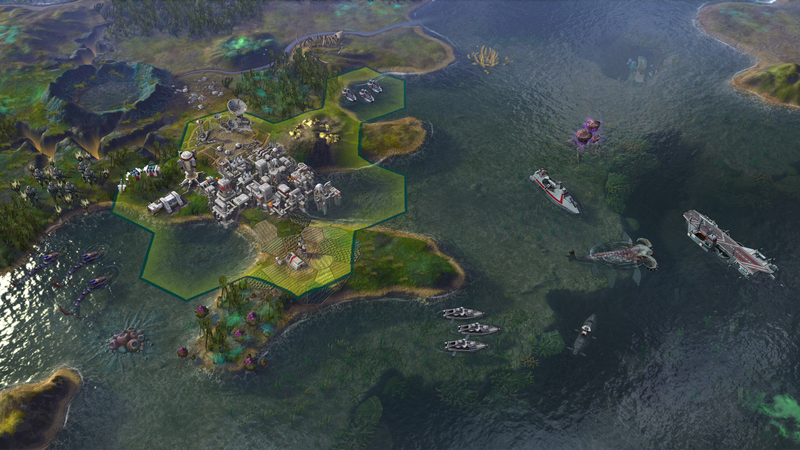 Along with the ability to colonize and exploit previously uninhabitable ocean tiles, the expansion will add plenty of additional content. These range from dynamic leader traits to an expanded diplomancy system, four new sponsors, two new biomes, hybrid Affinity units, and a new artifact system. Information on these is fairly thin thus far, but we'll hopefully learn more about them leading up to Rising Tide's Autumn 2015 release. 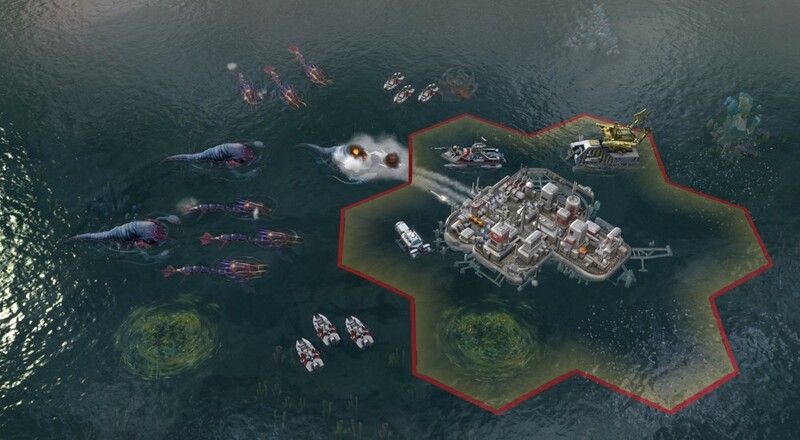 We had mixed feelings about Civilization: Beyond Earth as a base game, but hopefully the game will follow a similar path as its predecessor, Civilization V, and grow in depth and replayability as new expansions are released. Page created in 0.7785 seconds.